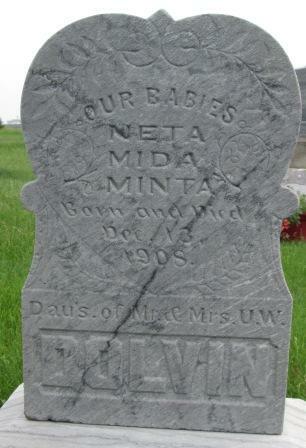 The Dolvin children’s grave, located at Lake Preston Cemetery in South Dakota. Photograph credit: B. Hahn (FindAGrave). Daus. of Mr. & Mrs. U. W.
This entry was posted in All Posts and tagged cemetery, genealogy, grave, graveyard. Bookmark the permalink.